Happy Easter Week! 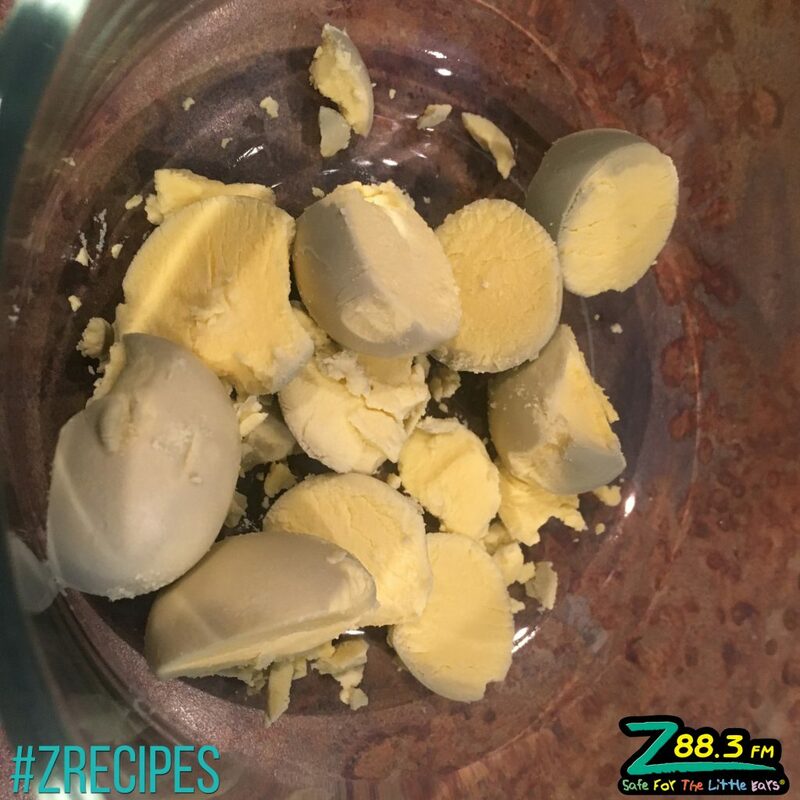 Since the kids will be hard at work dying all those Easter eggs this week, I thought it would be fun to share a Quick Family Recipe that included hard boiled eggs. 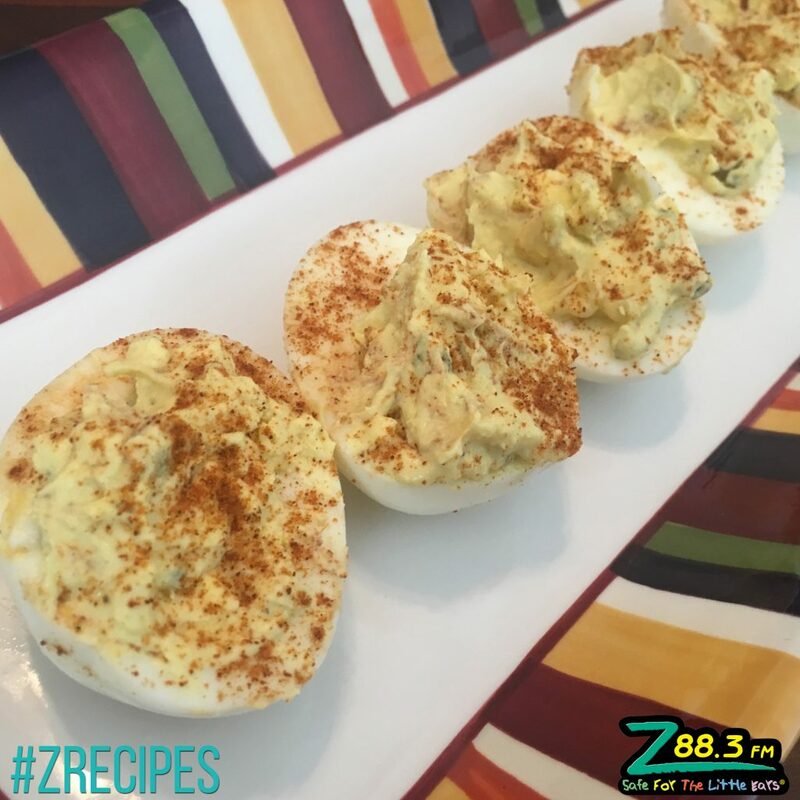 This is my recipe for Egg Salad stuffed deviled eggs that you can bring with you to your family’s Easter celebration. 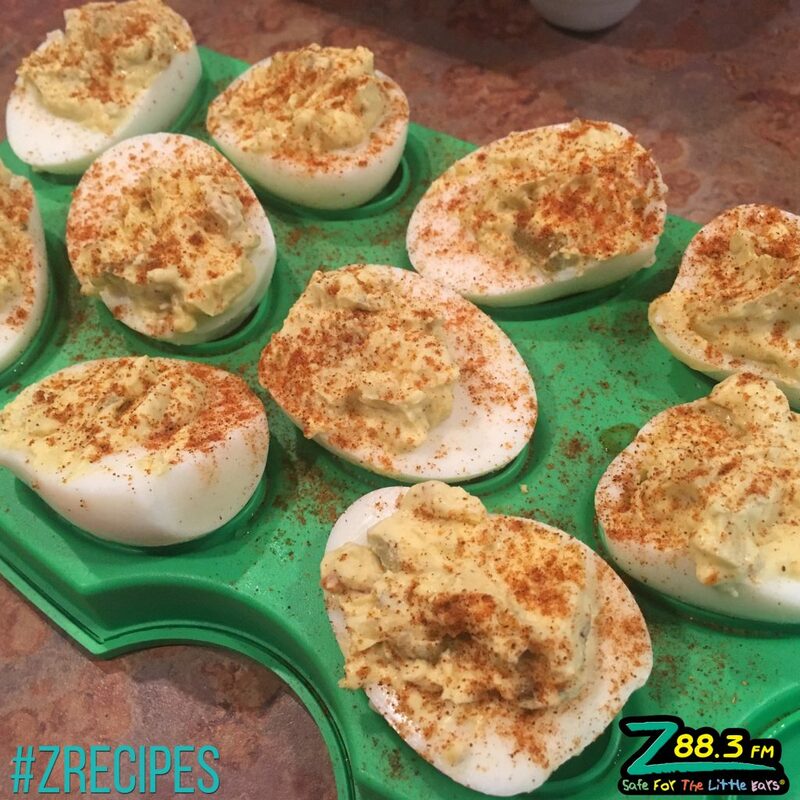 In my family, the one with kids always brought the deviled eggs to our family dinner, so that it would help get rid of all those extra hard boiled eggs that we dyed. 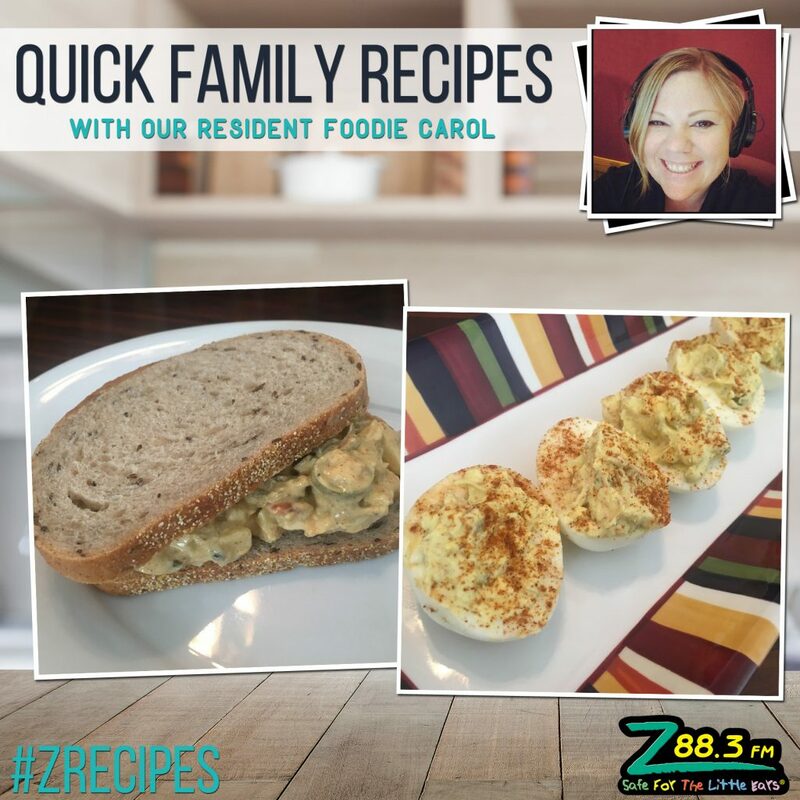 What makes this recipe unique is the flavor combination of adding in green olives and dill relish to the mix. 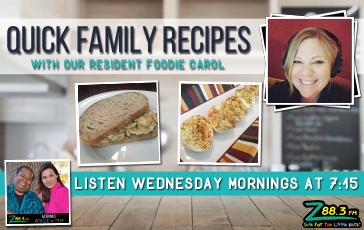 It adds this amazing salty and vinegar flavor that takes your eggs to an entirely new level! 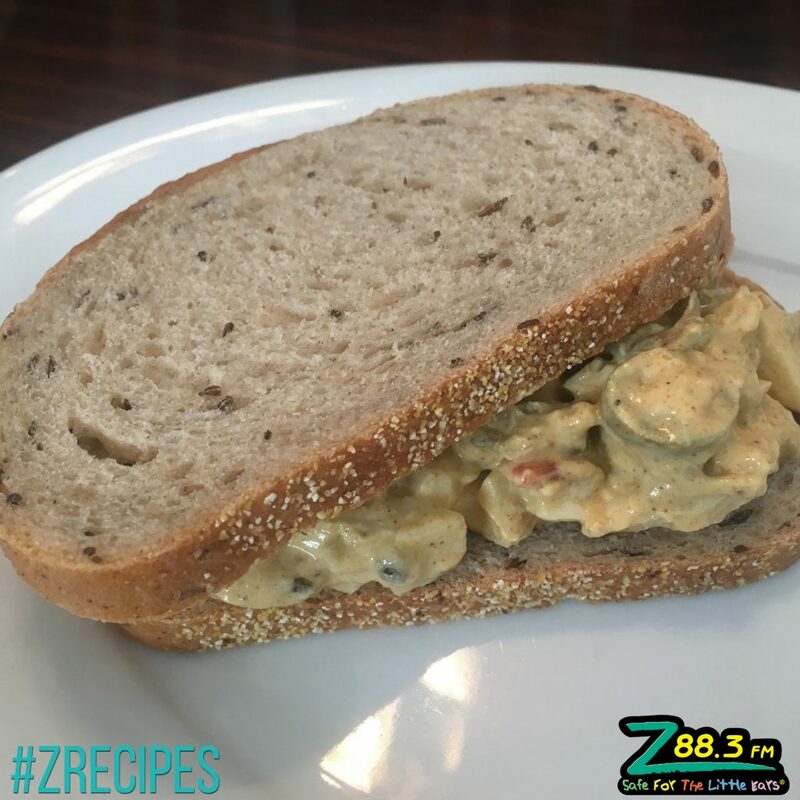 You can easily convert this recipe into Egg Salad and make sandwiches for lunch this week, too. Peel your eggs. I usually run them under cold water to help speed up this process. Cut your eggs in half. 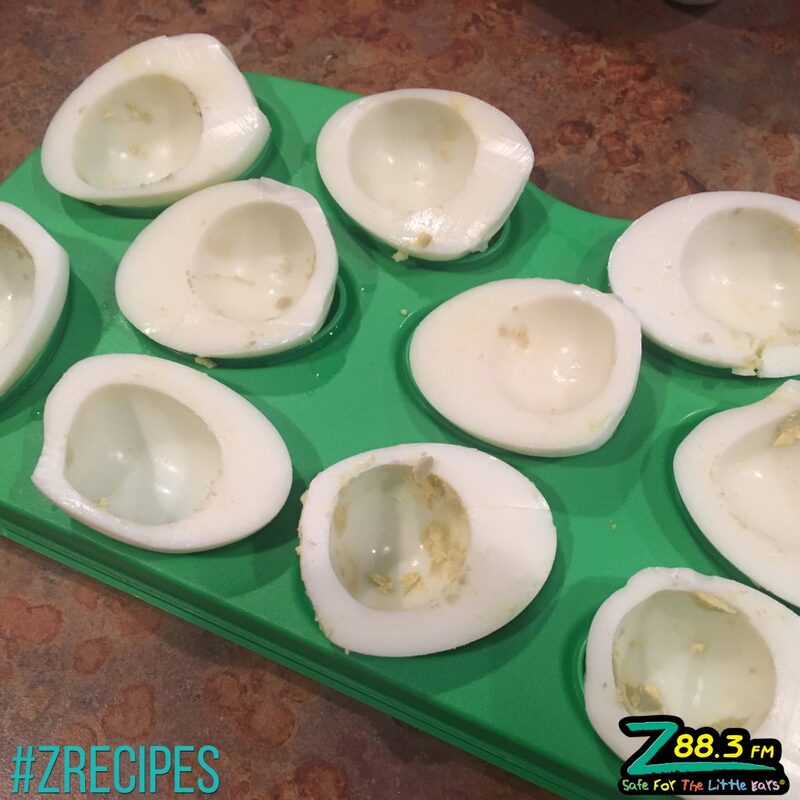 Remove yolks and place in a bowl. In the same bowl mash together, 1 heaping tsp of mayonnaise, 1 tsp of yellow mustard, 1 tsp of dill pickle relish, 1 tsp sliced green olives with pimentos and 1/2 tsp salt and pepper. If you don’t feel like your mixture is creamy enough, add more mayo or a splash of relish or olive juice until you get the consistency you want. Spoon mixture back into each egg white and sprinkle paprika over the top! Same list of ingredients from the top, except you change everything to tablespoons. 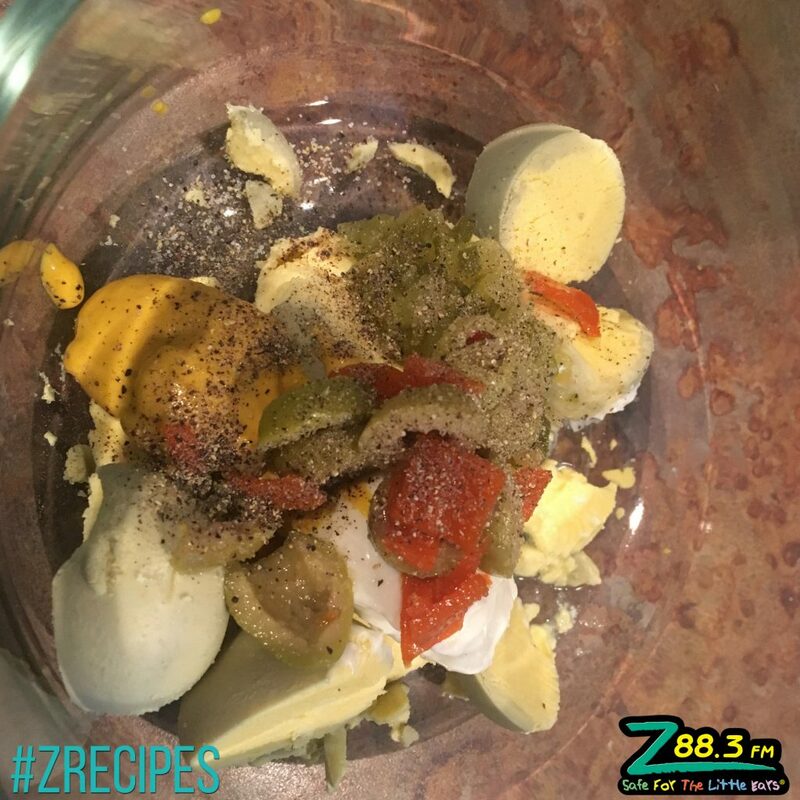 In the same bowl as your sliced eggs, mix together 1 heaping tbsp of mayonnaise, 1 tbsp of yellow mustard, 1 tbsp of dill pickle relish, 1 tbsp sliced green olives with pimentos and 1/2 tbsp salt and 1/2 tbsp pepper. This time instead of sprinkling over the top, you are going to add in 1 tbsp of paprika. If you don’t feel like your mixture is creamy enough, add more mayo or a splash of relish or olive juice until you get the consistency you want. 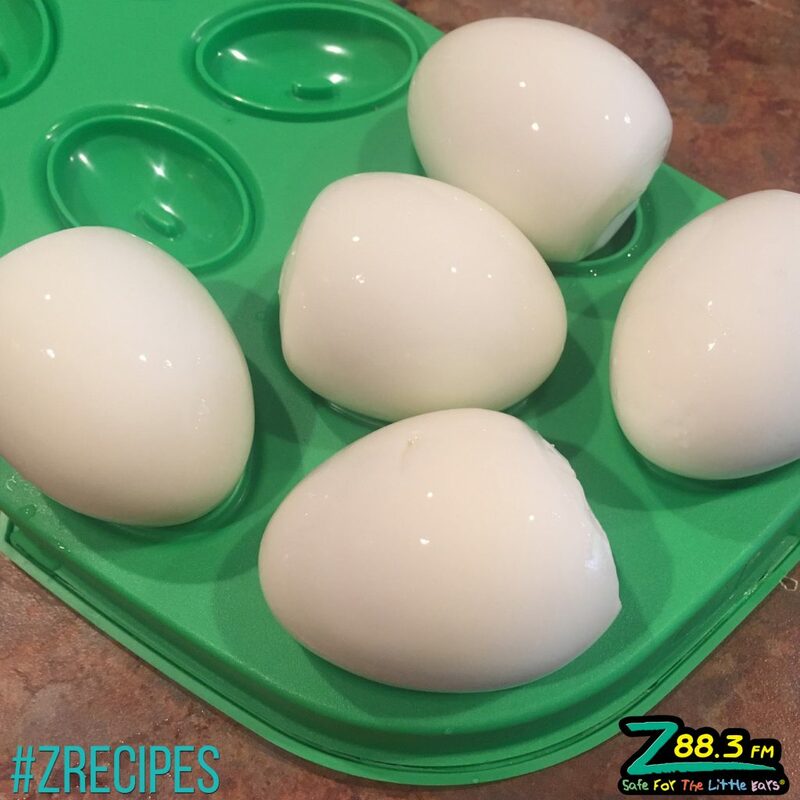 We’d love to see pictures of your cute kids dying eggs and making this recipe. 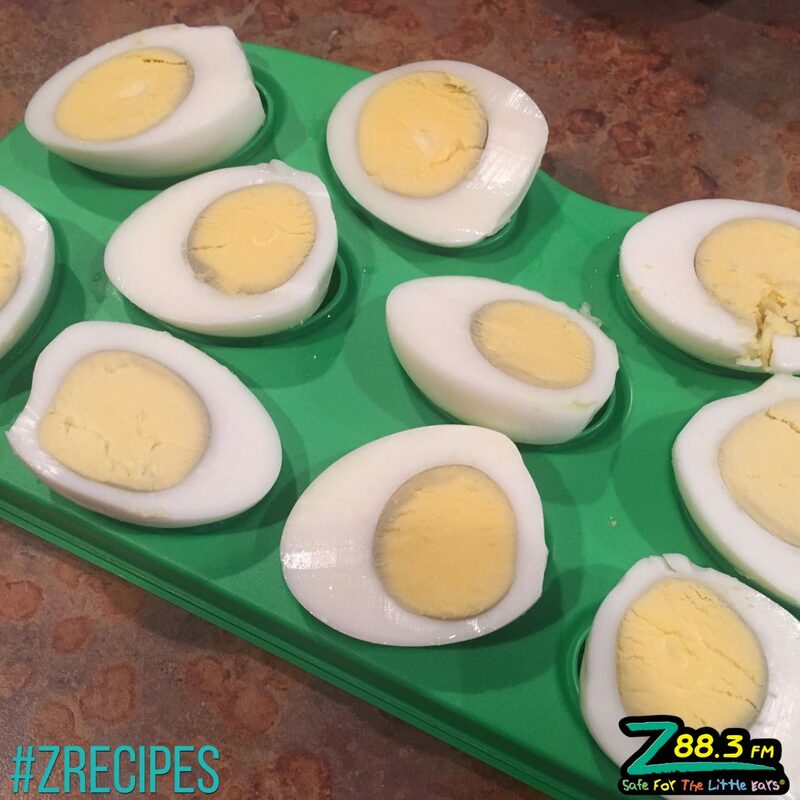 Share them using #ZRecipes.